Kevin Woods was sentenced to death in Zimbabwe and jailed for twenty years by Robert Mugabe. For more than five years of his detention he was held in the shadow of Mugabe's gallows, cut off from the world, naked and in solitary confinement. 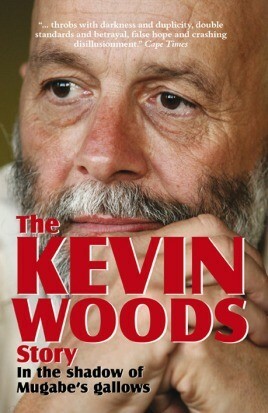 Unfortunately, due to sales rights restrictions, we cannot offer The Kevin Woods Story for sale in your country. Kevin Woods was sentenced to death in Zimbabwe and jailed for twenty years by Robert Mugabe. For more than five years of his detention he was held in the shadow of Mugabe's gallows, cut off from the world, naked and in solitary confinement. He had been a senior member of Mugabe's dreaded Central Intelligence Organization, the CIO, and was jailed for committing politically motivated offences, on behalf of the white South African government, against the ANC. From Mugabe's confidant to condemned prisoner, he recounts his life on the edge as a double agent. He explains the desolation of being abandoned by South Africa when he was compromised and he details his fight to maintain his humanity, self-dignity and sanity in a prison system that belongs to the Middle Ages. Woods has been there and done that when it comes to stress, utter hopelessness and coping while under the most desperate conditions imaginable. His story, unlike so many others, has a happy ending with him hugging his now-adult children and meeting former President Nelson Mandela being the highlights.